Today I'm happy to introduce a great book that should be of interest to anyone who is looking to better understand the business case of sustainability, or in other words, how companies use sustainability to create business value for their stakeholders. 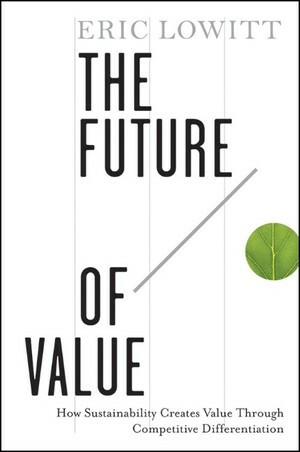 The book is: The Future of Value: How Sustainability Creates Value Through Competitive Differentiation by Eric Lowitt. I read many books on green and sustainable business, and this is one of the best ones I have read in the last couple of years, presenting the business case of sustainability in a clear and structured way. The book is full with great examples that Eric Lowitt gathered through years of research, making it an invaluable tool to practitioners who want to help their companies become more sustainable but just don't know how to do it. I wanted to learn more about the book and had the opportunity to conduct an interview with the author, Eric Lowitt over the email. Before we get to the interview, here are just few more details about the book and Eric. 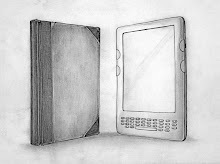 About the book: What if you were able to help your company grow faster and become more profitable than its rivals? Would you benefit as a result? Of course you would. What if your approach required little cash, caused nominal disruption, and was easily understandable by all your colleagues? What reason would you have for not helping your company outperform the competition? Enhance business performance by using sustainability for competitive advantage The Future of Value reveals what it takes for companies to grow and outperform the competition in today's growth-constrained, sustainability conscious world. The author, Eric Lowitt, shows leaders and students alike how to use sustainability as a powerful, pragmatic lens to enhance business performance. The Future of Value explores how to craft and oversee a portfolio of effective tools, develop competitive strategies, and adjust value chain activities, talent management practices, and corporate policies to help organizations execute powerful sustainability strategies. About the author: Eric Lowitt is a consultant, speaker, and author. A seasoned business leader and management consultant, Eric helps organizations grow their revenue and profitability by connecting sustainability and competitive strategy. His work has been featured in the Wall Street Journal, The Guardian, and The Harvard Business Review, among tier one publications worldwide. Raz Godelnik: What brought you to write this book in the first place? Eric Lowitt: I’ve watched companies fail by not taking the environment or society – both the challenges and opportunities within – into account. I’ve also witnessed companies avoid sustainability because they mistakenly view sustainability as solely either ‘green’ or ‘philanthropy’. I wrote The Future of Value to counter these two issues. When you read The Future of Value, you’ll learn that sustainability is synonymous with strategy, not just self-limiting terms like green or philanthropy. You’ll see how your company can reduce costs today, increase revenue tomorrow, and become more agile well into the future by embracing, not avoiding, environmental and social responsibility. As an example, consider my most recent Harvard Business Review contribution, as seen here. RG: Your book, The Future of Value, brings many great examples of what you call 'Sustainable Market Leaders' - why these companies are still the exception and not the rule? EL: Sustainable Market Leaders overcome three mental blocks which prevent other companies from ascending into the ranks of the business elite. The first mental block is the decision not to prioritize sustainability, mainly because companies mistakenly view sustainability as not being central to their business success. In reality, this could not be further from the truth. The second mental block is the flawed belief that sustainability isn’t worth investment. If your company suffers from this mental block, consider this – do you believe energy, commodity, and labor prices will decrease or increase in the next decade? Sustainable Market Leaders know these prices will increase, and in some cases increase dramatically. As a result, they are proactively investing in alternative sources of fuel and materials because they have concluded these sources will ultimately cost less. The third mental block is to answer uncertainty with paralysis. That is most companies are uncertain how to proceed in order to achieve sustainability. As a result, they choose the easy path – no action at all. The Future of Value provides an actionable alternative, one that will repay its investment instantly and many times over in the long-run. RG: Why so many companies have hard time in integrating sustainability into their corporate strategy? EL: All too often, companies stop after crafting and documenting a sustainability plan. They rest on the misguided belief that the plan is in actuality a strategy, one which will carry itself out within the organization. Sustainable Market Leaders understand that only the future actions which get into their company’s strategic plan will get into the operating plan and thus get funded. One practical action you can take today is to schedule time with your company’s strategic planning and financial management teams to discuss not only your sustainability plan but also uncover the natural linkages that were always there between your sustainability, strategy, and operating plans. RG: You provide in The Future of Value many examples of companies and their efforts to embrace sustainability - which one impressed you mostly? EL: There is no one perfect company; rather every company has its strengths and flaws. The companies I most admire exhibit modesty, are fueled by a sense of urgency to act, and are guided by an unwavering commitment to continuous improvement in order to achieve sustainability. Companies in this category range from Unilever to Monadnock Paper Mills to Australia and New Zealand Bank. When you read The Future of Value you’ll learn the secrets behind these companies’ long track records of success and develop the same time tested skills that will lead your company to becoming a part of this group of elite companies – Sustainable Market Leaders. RG: KPMG released a report earlier this week claiming that U.S. companies are “scratching the surface” of corporate responsibility, as a whole concentrating on communication more than performance - do you agree with it? EL: Absolutely! There’s a continuum companies travel along during their journey to a state of sustainability. Companies begin by ‘toe dipping’ – taking a small action to get a sense for accomplishment and what’s to come. All too often, companies turn to ‘communication’ as a way to show others their company is braving the rough waters of sustainability. This is a problem in part because we as a group of companies and members of society have become accustomed to instant gratification. We’re eager to show others our new tool, our new skill, our new accomplishment. Within the sustainability realm, too often this translates into showing others the ‘sizzle’ without the complete cooking of the ‘steak’ – thus exposing companies to the backlash of ‘greenwashing’ accusations. Eventually companies learn they need to perform and not merely promise. Society, with its voices amplified by social media, does not suffer fools for long. Companies will either act on their promises or face society’s backlash. Then companies evolve into sector-level advocacy for systemic change in order to facilitate sustainable development within industry. Few companies have achieved this state, though more and more are on the cusp of doing so! RG: What is the most important element in the process of creating and maximizing the value of sustainability? 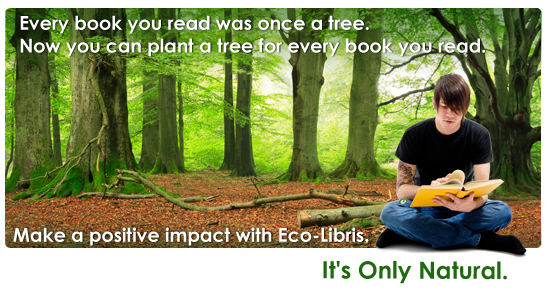 EL: Recognizing sustainability equals profitability. The Future of Value will equip you with the ability to challenge your incomplete views of sustainability’s connection to strategy and financial performance. By the time you finish reading and working through the questions within The Future of Value you will be able to see new customers waiting services – customers that will lead to revenue and profitability. RG: You started the work on The Future of Value with a great knowledge of sustainability, yet I'm sure you had interesting findings through your research - what was the one that surprised you mostly? EL: I was surprised to learn just how clear the link is between sustainability and strategy and also how few companies have consciously made this connection. As a result of their shortsightedness, they’re allowing billions of dollars – yes billions! – of revenue and market value pass right under their nose. This is shocking to me! The Future of Value will help you claim your rightful portion of this cash flow and market value. RG: Do you think there's a problem with sustainability metrics and companies' ability to transform their success stories into a language that investors and other stakeholders understand? How much of an obstacle is it? EL: Metrics are certainly a challenge – more so on the social side of sustainability than on the environmental side. There are two problems which serve as roadblocks in the path of measurement success. First is the individual self-interest. That is, business leaders and other executives receive a significant portion of their annual compensation in the form of performance bonuses. Typically these bonuses are based on the leader’s performance as measured by his or her scorecard of annual goals. Over time, leaders learn how to manage their investments and expenses in order to achieve their quantitative goals and to receive their maximum bonuses. In this context, it’s easy to understand why leaders resist adding new goals to their performance bonus evaluations…new goals such as environmental and social performance. As a result, they argue the addition of such goals to their scorecards ‘would be detrimental to the business’s best interests.’ In actuality, these leaders are preventing their company – and their department – from growing and becoming more profitable. The second metrics roadblock comes in the form of companies’ failure to connect sustainability to actions and metrics the investment community truly understand and value. When you view sustainability as altruism, not profitability, you relegate sustainability to the backburner in the minds of the investment community. Instead you need to help analysts see how your sustainability strategy is opening new markets, increasing cash flow by removing inefficiencies, and sharpening your competitive advantage you have developed over your rivals. RG: If a CEO of a company reads The Future of Value and would like to transform his company into a sustainable market leader, where should she start? What's the first step? EL: I encourage each of my clients to start with this question – what does sustainability mean to you and your organization? Sadly, many clients stop at ‘green’ or ‘philanthropy’ – but both are self-limiting concepts. Once a definition of sustainability is clear, then you should ask yourself to objectively document where you currently are in relation to your sustainability definition. Next, challenge your organization to measure its sustainability management efforts versus its peers. You can use a free tool on my website – www.ericlowitt.com/tools. The CLEAR Model - the model The Future of Value develops and brings to life through company case studies – will help you to compare your company’s sustainability management and performance to date versus specific companies within your Global Fortune 500 peer set. Finally be bold – sett unattainable targets and get on with it! RG: When you finished writing The Future of Value were you more optimistic or pessimistic about the future of sustainable business compared to what you felt when you began working on it? EL: I’m more optimistic, because The Future of Value translates sustainability into business language and business actions. In this way, The Future of Value serves as a sort of Rosetta Stone which helps companies transition from the unclear – sustainability – into the desirable – greater prosperity for all involved. Thus properly motivated, companies will spearhead the global pursuit of sustainable development! Thank you, Eric! 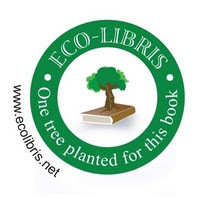 If you want to learn more about Eric Lowitt and his book, please visit his website - www.ericlowitt.com. The book is available for sale on Amazon in hardcover and electronic formats.